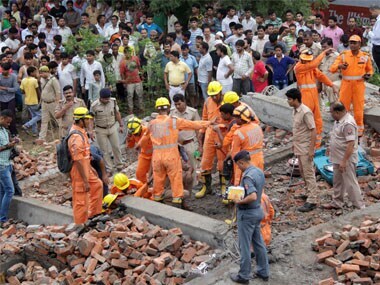 Three people were killed and 12 injured in a building collapse in the Mankhurd suburb of Mumbai on Thursday, reports said. 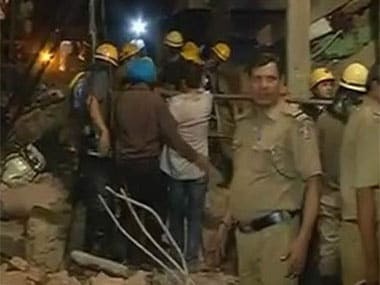 A report published in The Indian Express said that a cylinder explosion led to the collapse of three single-storeyed structures in one of the hutments in Maharashtra Nagar slum in Mankhurd. "The explosion had occurred when leaked LPG gas from the cylinder in one of the structures caught fire when someone lit a stove," it said. Fire officials told the newspaper that they have rescued 26 people, and the injured have been taken to Shatabdi Hospital and Sion Hospital. 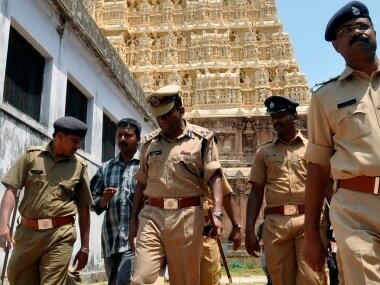 According to reports, the incident took place in the early hours (anywhere between 5 am to 6 am) on Thursday. Two firefighting vehicles and two ambulances were rushed to the spot to take care of the casualties, NewsX said. According to Hindustan Times, the names of the deceased are Rekha Wankhede (30), Shankar Wankhede (38) and Kasturba Wankhede (60). 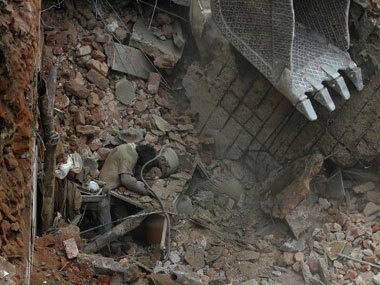 Rescue work is still going on.